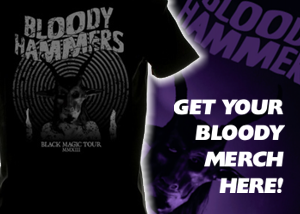 Charlotte, North Carolina band BLOODY HAMMERS will release it's debut album, Bloody Hammers, on November 23rd in Europe via Soulseller Records (February 3rd, 2013 in North America via Soulseller Records, distributed by RED). Bloody Hammers was recorded and produced by bassist / vocalist Anders Manga at NC's Greystone Studios. 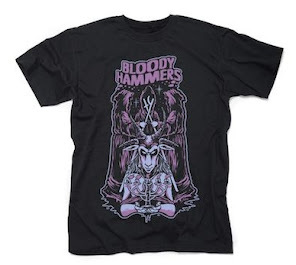 Named after the singularly atomic ROKY ERICKSON & THE ALIENS song of the same name, Bloody Hammers play dark, hallucinatory heavy music that is as primitive and powerful as a dry stone wall and propelled by bassist Anders Manga's captivatingly haunting voice. Pre-orders for the limited edition CD and LP versions of the album will also begin on November 23rd at this location. 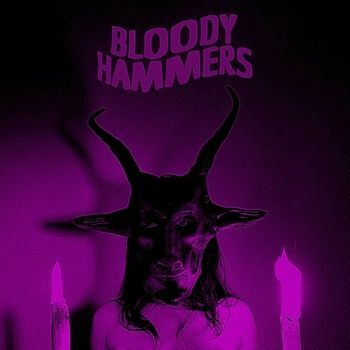 Bloody Hammers' self-titled LP captures the band's strong display of dooming riffs, dashboard-pounding grooves and vocals that segue from angry wail to soaring croon while warning listeners of impending doom. 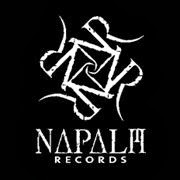 "This album is a heavy and melodic collection of evil songs, and I could not be happier with the result," says Manga. "Stylistically, I wanted to make a horror fueled hard rock album and this debut LP reflects that very sentiment and much more." 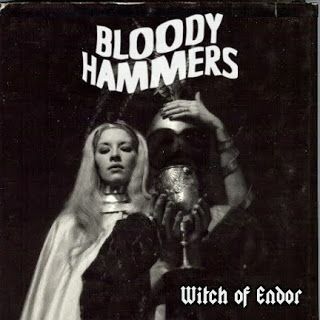 The first track released from Bloody Hammers will be the stormy 'Witch Of Endor', which is expected to make its online premiere soon.